Most probably everyone associates blockchain technology with Bitcoin or other popular cryptocurrencies. But it's far more than that - Blockchain technology makes the whole system unbreakable, self-regulatory and very useful for many industries. How does exactly it works? what are the different types of Blockchains? Seriously, it looks like everyone talking about “Blockchain”, isn’t it? Most probably everyone associates blockchain technology with Bitcoin or other popular cryptocurrencies. And they are right to do so. However, this is something like an entirely new universe with tons of possibilities and things you need to be aware of. Today’s article is a short guide to blockchain technology. Let’s get started right away. Before I even try to define with several words what blockchain is, I’d like to explain what’s the main reason it exists. Well, before the introduction of cryptocurrencies we used to make money transfers using banks or other intermediaries. So, there was always someone between my money and the person I wanted to send this money to. Plus, you had to pay for that. Not very fair, is it? This is exactly what blockchain technology solves – you can send money faster to whoever you want, without annoying bank clerks and hefty fees. 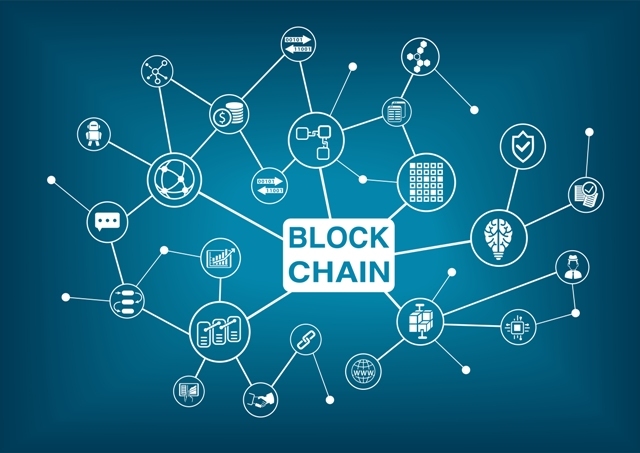 What’s more, some of the new business solutions are based on blockchain technology and aim at alleviating business processes, making them faster and safer. Some of them create networks where people can store data and let the system do research for them. So, blockchain does not only offer faster and charge-free transactions but also a safe record-keeping system for companies, banks and government bodies alike. In addition, here we need to discuss two keywords: shared and database. So, many people share the whole information and it’s not stored on one particular computer or a bank or any other entity. This is why this we call such systems decentralized – there is no single authority or person, or computer that controls and supervises it. In order to understand how this system works, I’m going to give you an example and try to make it brief and easy to swallow. The example is a money transfer, but it’s the same with anything else. Peter wants to make a money transfer to Mary using Bitcoin. Both Peter and Mary possess two keys – public key and private key. The combination of those two keys creates a safe digital identity. So, Peter uses his private key and “attaches” it to Mary’s public key. This somehow “creates” a block, and the whole network of users is notified of its existence. This block contains a digital signature (some sort of identification), the time when it happened and the information of the transaction. This is when something amazing happens. Participants compete to verify the transaction and this is something like additional security against fraud. Once they approve the block, it is added to other blocks forming a chain. Bingo! We have a blockchain. A blockchain is a type of distributed ledger. Keep in mind that not all ledgers consist of blocks and chains; however, often people use the term blockchains because they serve the same purpose – recording and keeping data safe and unaltered. Bitcoin has their own type of distributed ledger, but there are others – Ripple and Ethereum are some of the examples. Now we know what blockhain is, why it exists in the first place, and how it works. Let’s discuss in detail the characteristics and advantages of the blockchain technology. Earlier I mentioned that blockchain technology makes digital currencies decentralized. What does it mean to be centralized. For example, the US dollar is a centralized currency because there is one single unit – the US Federal Reserve System – which controls and regulates it. On the other hand, blockchain technology does not allow a single user or unit to process all transactions. You remember that this is a whole network of users who validate and regulate transactions together. All users own blocks of this blockchain and can process the information they have access to. If one of them collapses, the others just keep on working. Even though the technology itself is really difficult, you won’t have to improve it and further develop it. All you need to do is use different cryptocurrencies. To start with you need to have a legit email. This is easy. Then just find a wallet and set up an account using your email. You can start using your wallet and making transactions immediately. Blockchain technology provides people with anonymity. Yet, due to the way it functions and works, the system is extremely secure and self-regulating. Blockchains offer their users incredible transparency; all your transactions, data, information are stored in a separate block, which cannot be amended or destroyed. They will stay there today, tomorrow, perhaps forever. No one – banks or governments – can have access to your information and copy or edit it. Third parties always slow down the process of making transfers. You need to wait for their approval, which might take days even more. Often companies or individuals don’t have this time. Using blockchain technology, depending on the type, transfers are much faster. It might take even less than an hour. Removing third parties and intermediaries from you way means that your transactions will be much cheaper. Using blockchain technology to make money transfers reduces the costs significantly. Note that the wallet you will be using will have some fees. After discussing the main characteristics of a blockchain, let’s look briefly at the different types. Bitcoin is the most common example of a public blockchain. As long as they have internet, every single person can join the network and start mining themselves. This is what makes it public. If a user follows the rules of the system, they can have their own blocks and take part in the process of approving transactions. These days, many ICOs rely on the blockchain technology as a basis for their new coin. A private blockchain is also a decentralized peer-to-peer payment method. Unlike public blockchains, where anyone can download their code, private blockchains have a network that should approve you before joining. Usually, they have to invite you first and then you can become a member. This obstacle somehow makes private blockchains less decentralized, but some companies use them in order to limit individuals and the transactions they can make. This is a type of private blockchains and people also call them Consortium Blockchains. Usually, banks use this technology and they restrict the access to it. Because of that, transactions are much faster and, of course, even more secure and safe. Blockchain technology is the new internet. It has revolutionized the world of payments and also, the way we can transfer, store and process data and information. If you want to stay relevant to the hectic pace of the digital era, you need to know a few things about blockchain technology. Most importantly, what benefits come from implementing it. A person or business can make faster, safer and cheaper transactions. All you have to do is pick up a cryptocurrency and give it a try.